Care to hike Aspen Mountain with me? I’m glad we got to the Ute trail early – it’s going to be a warm one! Did you bring a water bottle? Great. Camelbak? Even better! You brought some trail mix too? Not a bad idea - we’re going to need some energy, this hike is exhausting! We begin with The Ute Trail. Ascending over 1000 vertical feet in approximately one mile means we’re going to be climbing some steep switchbacks. Watch your footing as this well defined trail has some uneven sections, although for the most part there is good grip under foot. We start by climbing through some low bushes and almost instantly we’re out of breath. Don’t forget our starting elevation is 7,908 feet above sea level, meaning workouts here in Aspen are much tougher than you might think! Soon enough we get some respite in the shade of pine trees. Start sipping that water – once you’re thirsty it’s already too late to maintain proper hydration. Let’s take our time given we’ve got a long way to go! Ute rock marks approximately one third of the hike completed. This is a great rest stop and is the usual turnaround for those seeking a quick workout - you’ll see a lot of locals hiking the Ute trail as it can conveniently be completed on a lunch break. How about that view? From Independence pass all the way down valley, perched high above the downtown core, you can really begin to appreciate how snugly our little town is tucked into these mountains! Onwards and upwards! This next section is tough, with further switchbacks through the trees. You can begin to make out some of the extreme terrain that’s on offer for skiers & snowboarders during the winter season. We emerge from the trees onto a ski run known as Jackpot and begin our climb up onto Gent’s Ridge. A little respite comes in the form of a relatively flat dirt service road, but this won’t last long. As we pass the chairlift affectionately known as “The Couch” for its slow speeds – as in, sit down and make yourself comfortable, this might take a while! - the service road becomes steeper. The good news is we’re two thirds done! Now is not a bad time to stop for a quick snack to regain some energy. Keep those fluids up too, and don’t forget to admire the views back toward the valley floor! The last third of this hike is relentless. The legs are tired and the lungs are hurting, but you can sense you’re almost there! When you reach another dirt road crossing your path, the temptation is to make a turn and enjoy some flatter terrain. We’re not going down that road, though. We’re going to take the single track right in front of us that continues directly up the hill! Soon enough we begin to see the Frisbee Golf Course and people that have ridden the Silver Queen Gondola to the top – which means they have walked down to this point! We can’t be too far away now! Sure enough, there it is! The Sundeck! We’ve made it to the top of Aspen Mountain – an elevation gain of 3304 vertical feet over approximately 3 miles! Less than two hours is a commendable time - Congratulations! Let’s soak in the views, enjoy some lunch and take a free gondola ride back down into town. Can you believe you hiked all the way up here? Enjoy that afternoon nap – you earned it! There’s a certain hustle and bustle that a lot of tourists from the big cities bring to Aspen, but that is not the pace at which Aspen operates. Aspen has a slower, more relaxed pace. As someone fortunate enough to live in Aspen year round, I enjoy seeing visitors adjust their attitudes upon arrival. It may take a day or two, but almost everyone adjusts to the understanding that there is more to life than an iPhone and a conference call. Almost without fail people begin to take note of their surroundings: The great outdoors. Art & culture. Life itself. In order to appreciate this, it requires a slower pace and more human connection. If “please” and “thank you” makes the world go around, the Earth orbits Aspen. There’s something special about Aspen. It takes a minute to pick up on it, but once you realize what it is, it’s hard to forget. It’s the size of a small town, and has the population of a small town, but Aspen is so much more than that. Aspen is the place where people duck into the grocery store to grab one item and instead spend 20 minutes catching up with their neighbor. Aspen is the place where people thank the bus driver as they alight. Aspen is the place where people wave at each other from across the street rather than walk on by. Aspen is the place where people from all walks of life volunteer for all causes. Aspen is a small yet strong community, within the larger community encompassing the Roaring Fork Valley. Aspen is special. People are more aware of their surroundings and more considerate of others here. People genuinely care about each other. There is a common sense of purpose – we all know, understand and respect why each of us have chosen to make Aspen our home, or at least a regular vacation destination for the family. It’s why Aspen is more than a town - it’s a village. A word of caution though - stay too long and you’ll be hooked. Ask most locals – “You come for the winter and you stay for the summer” is a common expression. “I only came for one ski season and I’ve been here [insert large number] years…” is a common story. Come visit Aspen. I’m sure your vacation here will end too soon. Don’t be surprised to find yourself making time to stop and smell the Colorado wildflowers along the way. Farmers Market and Bluegrass on Aspen! This week we would like to highlight two weekly events that everyone looks forward to in Aspen. For starters, there is the Aspen Farmers Market, which takes place every Saturday from 9 AM until 3 PM. The market takes place on a portion of E. Hopkins Ave. between Galena and S. Hunter. The market features all sorts of fresh Colorado produce and meats, flowers, jewelry, artisan works, and much more. The Farmers Market has been growing at an impressive clip since its inception due to its popularity with locals and visitors alike, and a growing awareness of the benefits of sourcing locally whenever possible. Strollers are treated to live music while they look around at all the wonderful goods. Fresh food is the perfect way to feed your active Aspen lifestyle! Once again, this great weekly event will be taking place every Saturday until October. 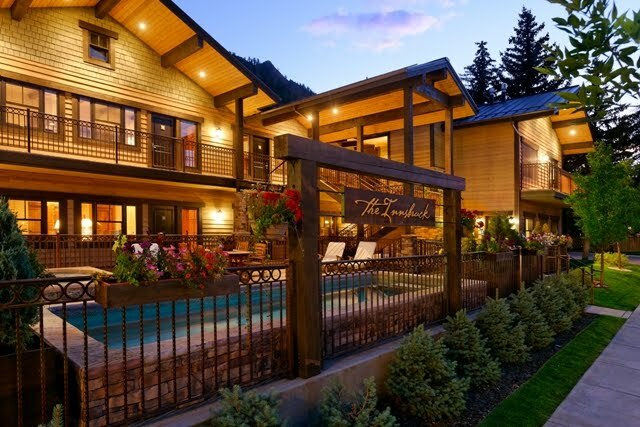 Next up we would like to introduce you to Blue Grass Sundays atop Aspen Mountain. This event will take place every Sunday until September 4th from noon until 3 P.M. There is no cost for admission as this is an open air event taking place just outside the Sundeck Restaurant with sweeping views of the incredible Elk Mountains. There is a cost to ride the Gondola, though you can circumvent this expense if you are feeling ambitious, by hiking to the top and riding the Gondola down for free. In addition to the free concert, there are other activities up top, such as disk golf, euro bungee, a rock wall, an obstacle course, a sand box, and a free guided nature walk compliments of the Aspen Center for Environmental Studies. The nature walks leave every hour, on the hour, from 11 AM to 3 PM. This nature walk is 45 minutes in duration. The walk goes out on Richmond Ridge from the top of Aspen Mountain. It focuses on educating people about “the native trees, birds, and animals that thrive in the high alpine environment.” Food and beverages can be purchased at the Sundeck or you can pack some of the fresh goods you bought the day before at the Farmers Market. See you out there!